This Mangalam orthodox tea is carefully plucked & produced in expert supervision and utmost care. 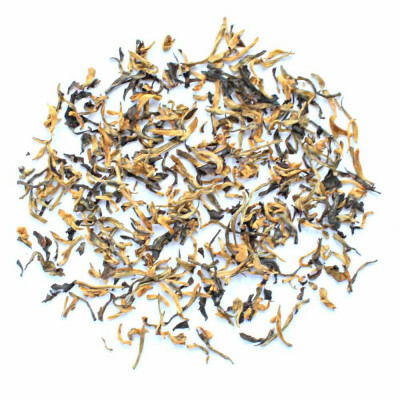 Full blaze of golden tips with coppery bright even infusion bright brisk and good flavour specially made for our connoisseur's tea lover. Mangalam tea Estate produces very high quality Assam Orthodox and CTC teas. The estate has been planted with clonal tea bushes.One of the finest teas of the region.The Orthodox teas of Mangalam tea estate are hugely in demand in overseas market. 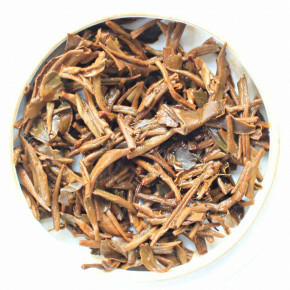 Leaf - Blaze of Golden tips. Liquor - Bright Brisk with good flavour. Infusion - Coppery Bright even. "Mangalam Tea Estate has the distinction of being the only tea garden of its kind due its unique bush plantation. Encouraged by the outstanding results achieved from its experiments, the Jayshree Tea and Industries decided to create a new ideal plantation with the concept of close planting by uprooting some of the old tea sections of Towkok Tea Estate with new concept of close spacing of 21/2 x 11/2 x 11/2 x 11/2 x 11/2 with 100% clonal material of high quality potential. The entire garden of 117.99 hectare has been planted with a spacing of 18” x 18” x 18” x 18” with a plucking patch of 2’6” having a population of 42480 plants per hectare. The entire garden is very well planned from the working convenience of point of view. The plantation has been divided in 1 (one) acre plot having 8’ wide footpath on 3 sides and 20’ wide road along the plantation after every five such one acre plot, thus providing motorable road encircling each plot of 10 acres and making it convenient to supervise every acre plantation while moving in a vehicle. Mangalam tea estate produces very high quality Assam Orthodox and CTC teas fetching premium prices due its quality and demand. 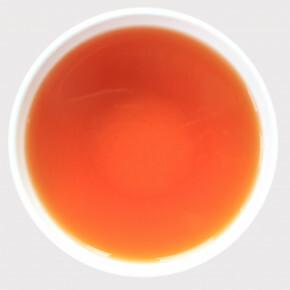 The Orthodox teas from Mangalam tea estate is totally absorbed by German market and the C.T.C. teas are also in good demand. Regularly frequented by buyers from Germany, the garden is well accessible by roads, rail and airways. National Highway 37 is about 52 K.M. from the Garden. The nearest Railway station Bhojo (Broad Gauge) is around 12 K.M. from the Tea Estate. The Airports near the gardens are at Jorhat & Dibrugarh."